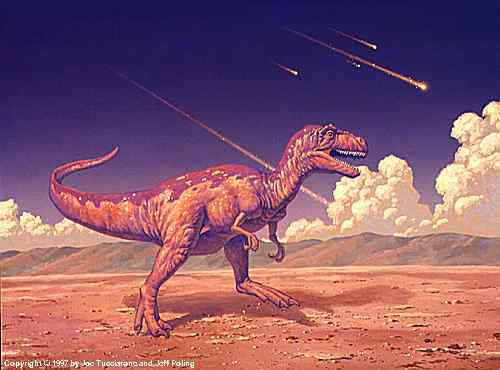 Dinosaurs Extinction, What Killed the Dinosaurs? What Kills the Dinosaurs? Simple questions but remains mystery. 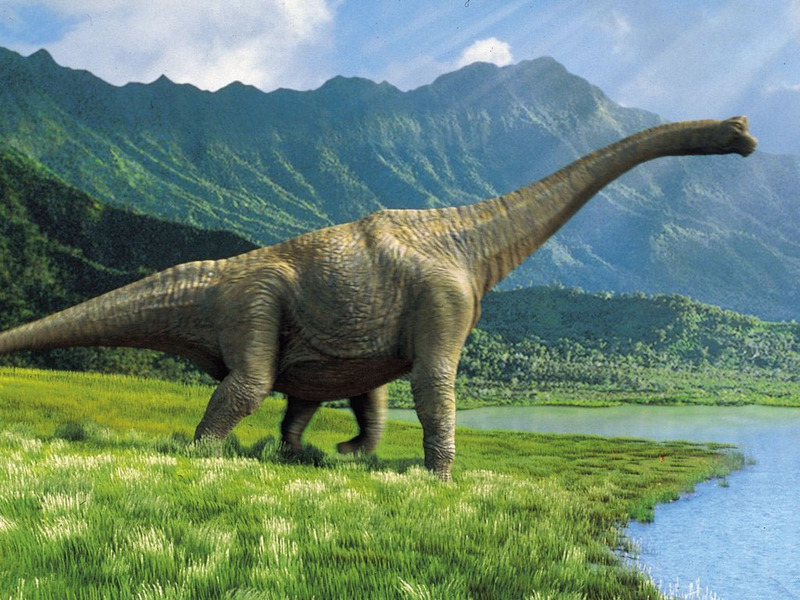 About 65-million years ago, dinosaurs went extinct. Yes, you lovely dinosaurs were extinct, Plesiosaurs, Tyrannosaurs, Plesiosaurs even the flying dinosaurs like Pterdactyl (Pterosaurs). Many Brachiopods were disappeared. Most vegetation withered, and more than half of the earth’s species were eliminated. 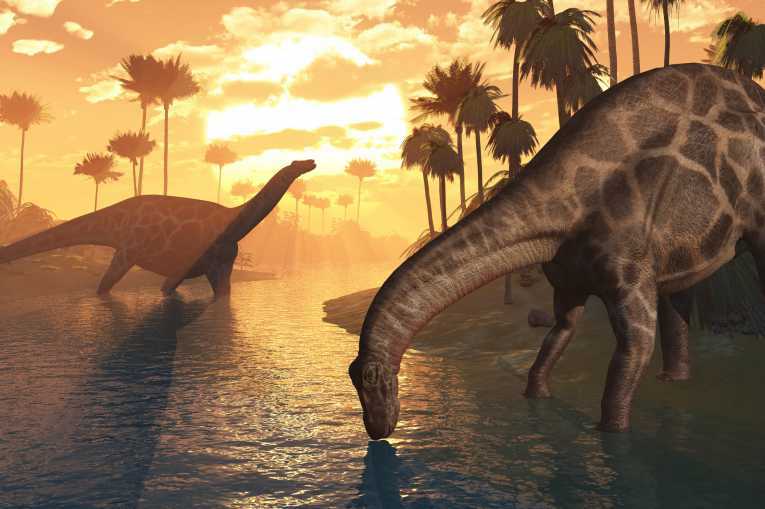 What caused the Dinosaur extinction ? The scientists have to find the answer. What makes dinosaurs extinct but why mammals, turtles, salamanders survived. The other animals also survived, even the hardy plants. 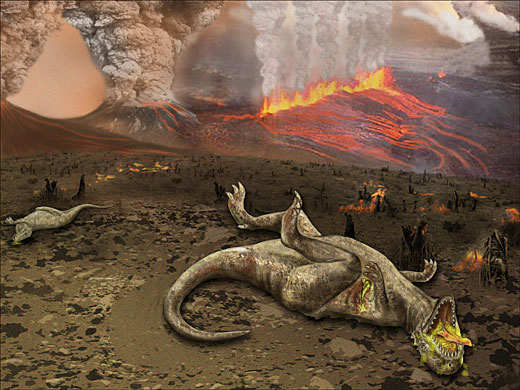 After find and research finally scientists tend to two hypotheses that clearly explain about the Cretaceous extinction. 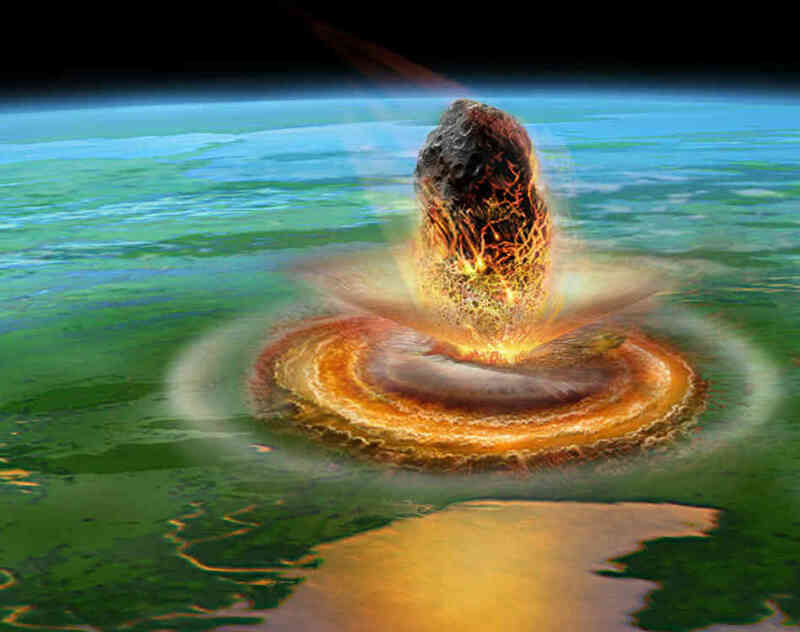 The first, it was an extraterrestrial, such as meteors, asteroid or even comet. The second hypotheses it might be massive volcano. If we think carefully, both scenarios effects the food chain. The skies was choked with the debris. This not kill the dinosaurs, but it makes massive starving to the Earth. The debris cover sun’s energy to the earth. Deter the photosynthesis and you can imagine, there’s no food for alive dinosaurs. This condition also locked the greenhouse gases which cause high temperature. Both hypotheses are makes sense. Some scientists think that both way may have contribution to the extinction. Others said that the extreme climate shifts and sea levels changing cause the extinction. 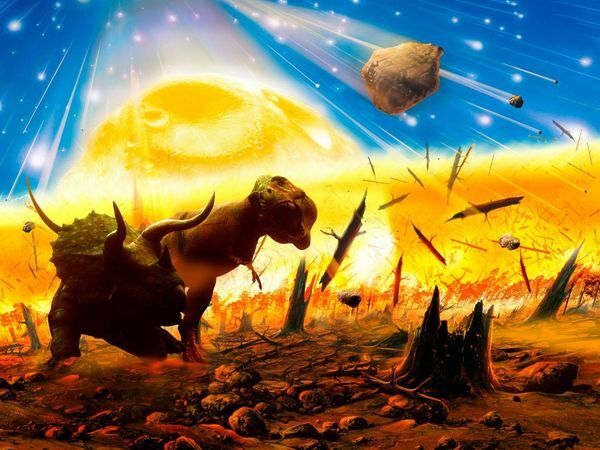 Now, you’ve learned about Dinosaur extinction, however, it marked that the T-Rex era was ended and opened mammals to rapidly diversify all over the world. 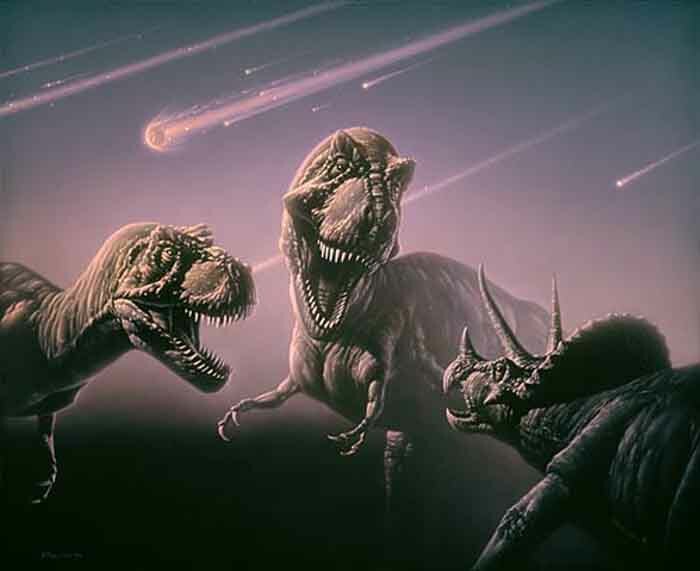 See Others Picture of Dinosaurs Extinction, What Killed the Dinosaurs?